As the Dunkin’ App made its way to the fingertips of DD fans worldwide, employees at the DD Mothership celebrated with a special spread of App-themed treats for our employees. 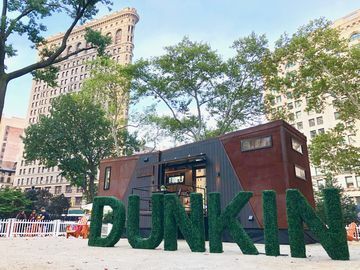 From a giant smartphone cake, to custom-designed DD cupcakes, sweet commemorative t-shirts, the Dunkin’ team sure knows how to celebrate —check it out! 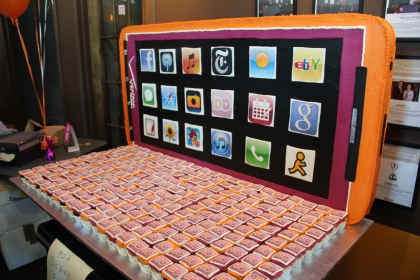 Over 400 employees made their way to the main lobby of our office building for a mid-afternoon treat: a smartphone cake and pink and orange DD cupcakes! 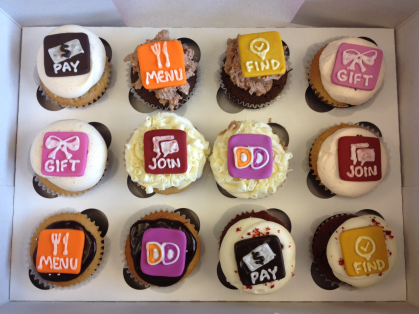 BeholDD: Cupcakes inspired by the Dunkin’ App, compliments of our friends at Digitas! The launch of the Dunkin’ App certainly gave us reason to celebrate. For over one year, we have been working to make sure that every detail of the App—from the capabilities to the colors—is the best fit for our guests. We are excited to see the powerful new tool help people to run on Dunkin’ faster than ever before! 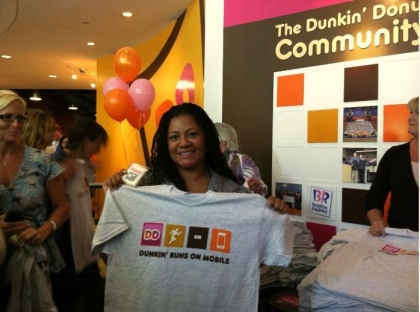 We also handed out “Dunkin Runs on Mobile” t-shirts to our employees—complete with a working QR code on the back! We are hoping to spread the word about the App by sporting these t-shirts after work. 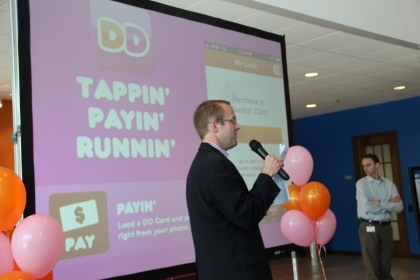 Scott Hudler, the Vice President of Global Consumer Engagement for Dunkin’ Brands, explained the nuts-and-bolts of the Dunkin’ App at the launch celebration. 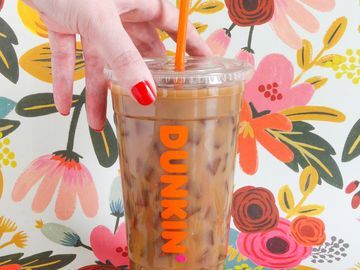 Allow us to fill you in on the buzz and explain how using the App can maximize your Dunkin’ experience! 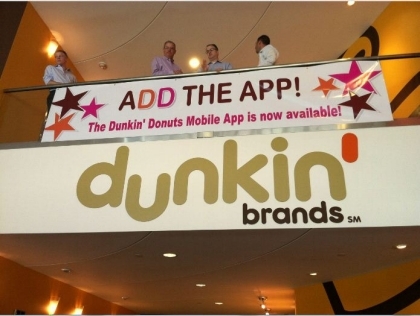 View from the Dunkin’ lobby on the day of the Dunkin’ App launch celebration. 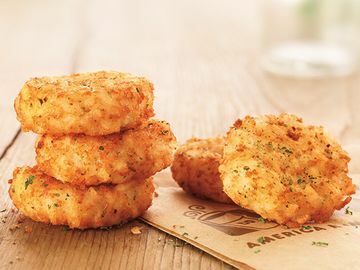 We hope that you will join us in aDDing the Dunkin’ App! The App is available for free download on the Apple App Store and Google Play.